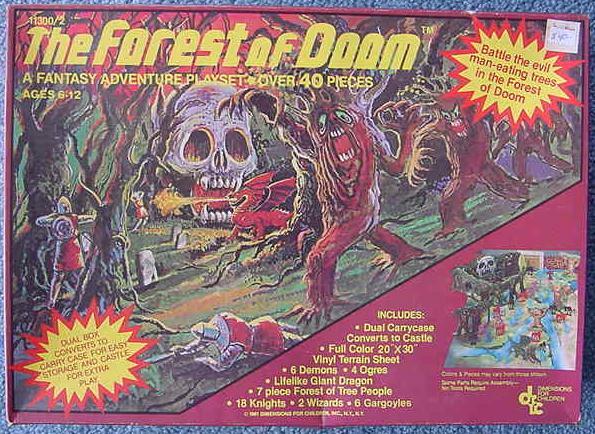 DFC (Dimensions For Children) put out at least six fantasy playsets in the early ’80s. You’ve seen Dragonriders of the Styx (1981), probably the first to be released, and the only one I’ve seen in a major catalog. This is the first time I’ve seen Demons of Castlelon. 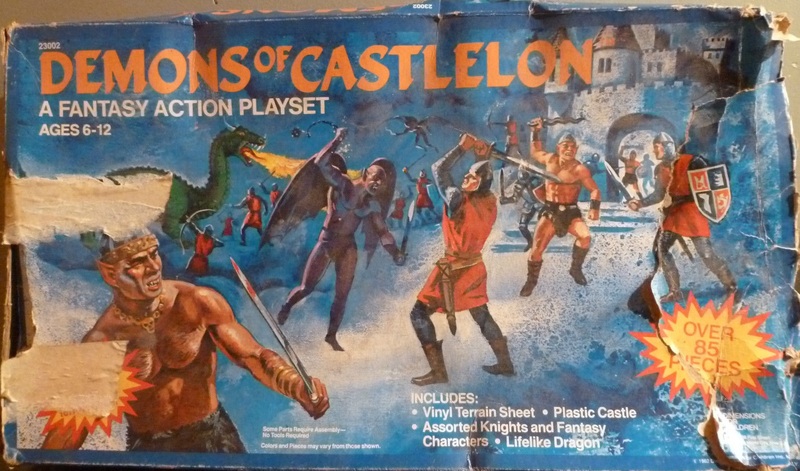 There’s another version called Dungeons of Castlelon—same figures and playmat, different box. 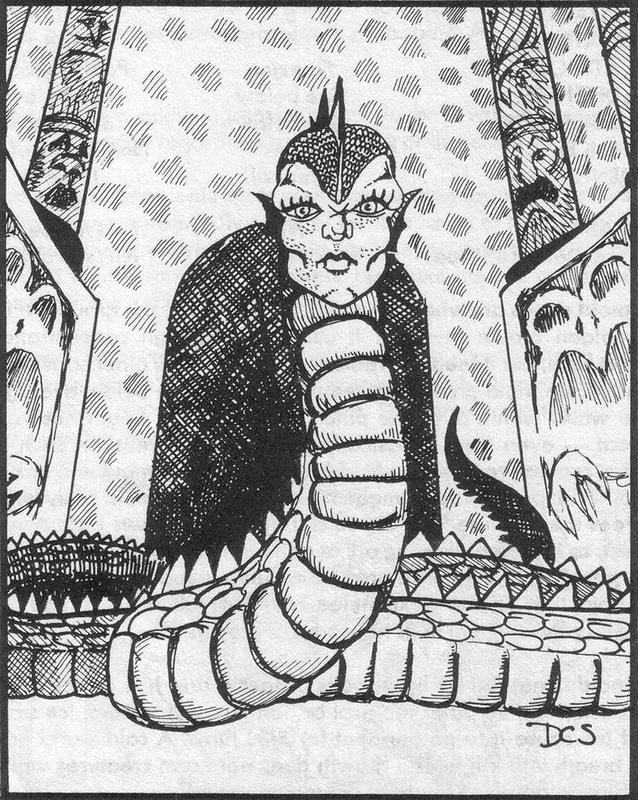 As others have noted, the green snake figure looks suspiciously like David Sutherland’s Naga from the first edition Monster Manual. At some point, DFC started producing the figure without facial features or ears, no doubt due to copyright issues. 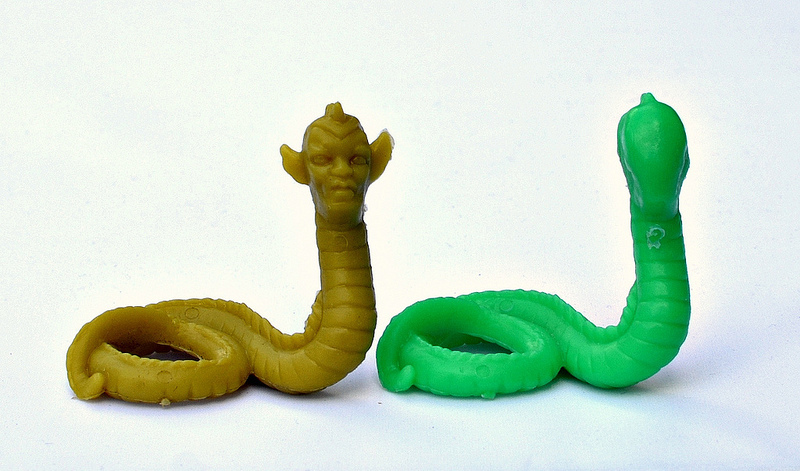 UPDATE (1/19/14): Here’s a photo of both versions of the Naga, courtesy of Little Weirdos/Flickr. 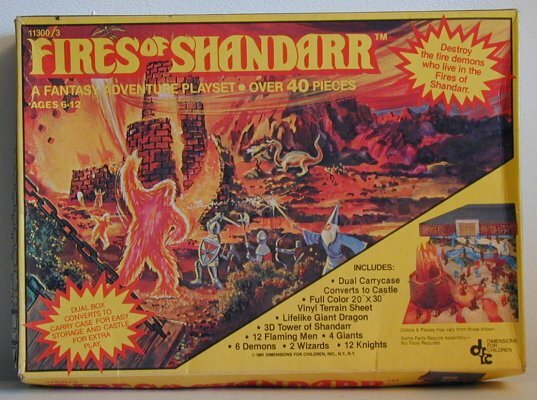 Other known sets include Fires of Shandarr, The Tower of the Night, and The Forest of Doom. I’ll do separate posts on each set as I score better photos. Not an 80’s toy, but I thought you’d get a kick out of this. It’s a game from the 90’s that was only released in Germany that featured a ton of plastic soldiers riding dinosaurs. I just learned about it this week and these play sets remind me of it. Wow, I never realized just how cool the Dino Riders line was! I need some of those for my desk. Same here—I remember seeing those in the stores, but only now can really appreciate it. Those really are cool. I think my kid would dig ’em too. one of my absolute favorite toy lines, I have all the 3 3/4″ figures. unfortunately I don’t have all the mounts or vehicles but i have all the riders. There is one additional DFC fantasy Playset, called Giant Castle Playset with over 100 assorted fantasy figures. 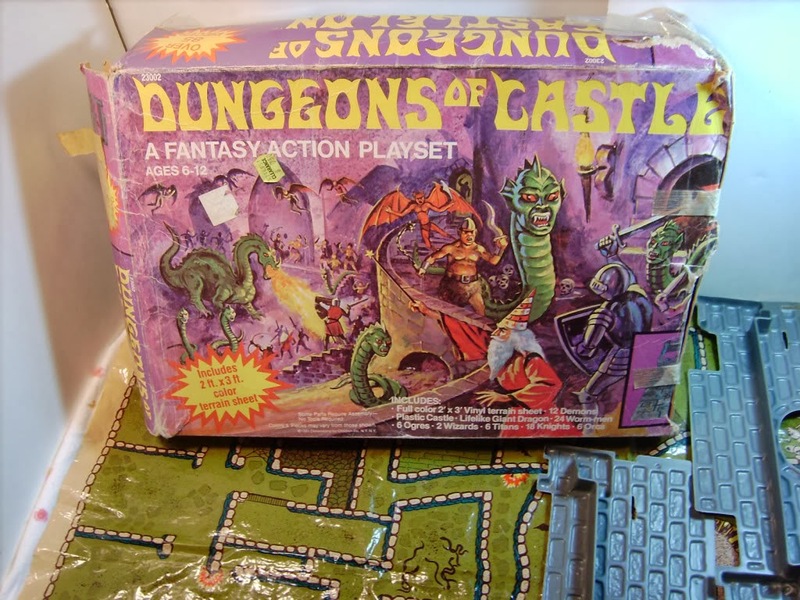 It contained the same figures as in the Dragonriders set, but included a large cardboard castle instead of the plastic castle. It can be seen with five other DFC sets in the book; Toy Castles and Knights from Around the World. Thanks, Joseph. Somebody sent me a small pic of it a couple of weeks ago. I’m waiting for a bigger one before I update the post. Thank you very much for your response. In my book, Toy Castles from Around the World, The chapter on Sword and Sorcery Castles is 12 pages, and covers DFC /SkyKids fantasy figures & playsets, the 3 different HG Sword & Sorcery castle Playsets, the Helm Toy fantasy sets, the Miner Dragon Crest castle, the Fleetwood Sword and Sorcerer carded set, the Amazing Shyling fantasy figures, plus Supreme & Toys to Grow on Fantasy sets, plus the 1988 Willow figures, Narnia figures, and the really incredible Russian Tehnolog fantasy figures currently available. About 40 different dragons are covered including the amazing Plastoy Skeleton dragon. There is also a Chapter on Lord of the Rings AOME figures. 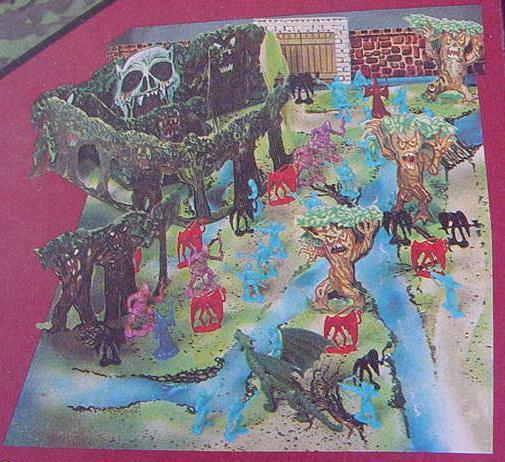 Other chapters cover King Arthur and Robin Hood castles, and toy castles from ten different countries. The book is 104 pages in full color, and is available from my website, http://www.toyknights.com, or from Amazon.com. I have received positive reviews from Playset Magzine in the US, and two Toy Soldier Hobby magazines in Europe, with satisfied riders in 16 countries. Thank you for the opportunity to share this information. If you have further questions or would like to see some photos I would be happy to share them. That should have read “satisfied readers” not “riders”. My apology. I had both versions of Castlelon, Dungeons came out first. 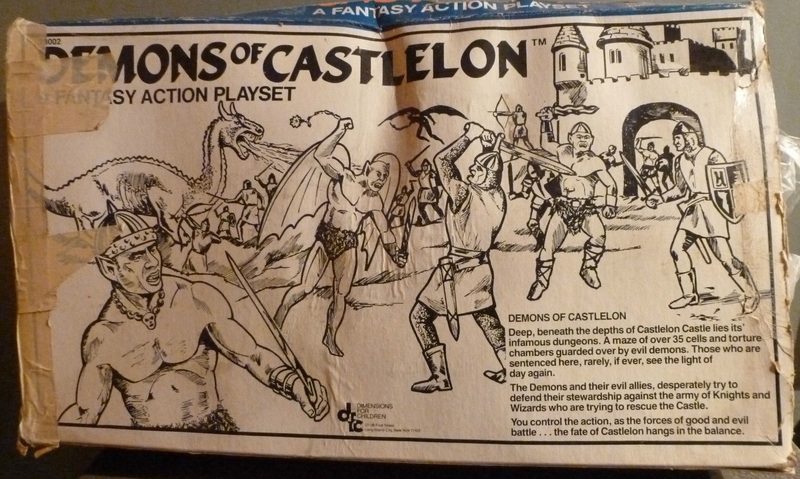 I was disappointed to discover that Demons of Castlelon had the same contents, only with faceless snake/worm men (I thought they were being cheap at the time, who new about copy rights?). 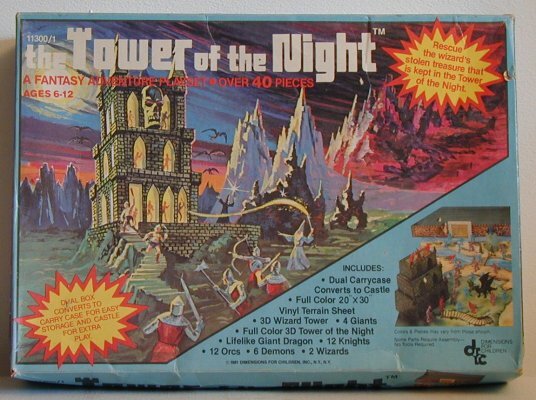 Also had the big Styx set and Fires of Shandarr but the cardboard tower didn’t survive long. There were header bagged releases for good and evil, which contained some color variations. The Titans/Giants/Vikings were packed with the good knights, wizards and dragonriders…for variety’s sake, I suppose. 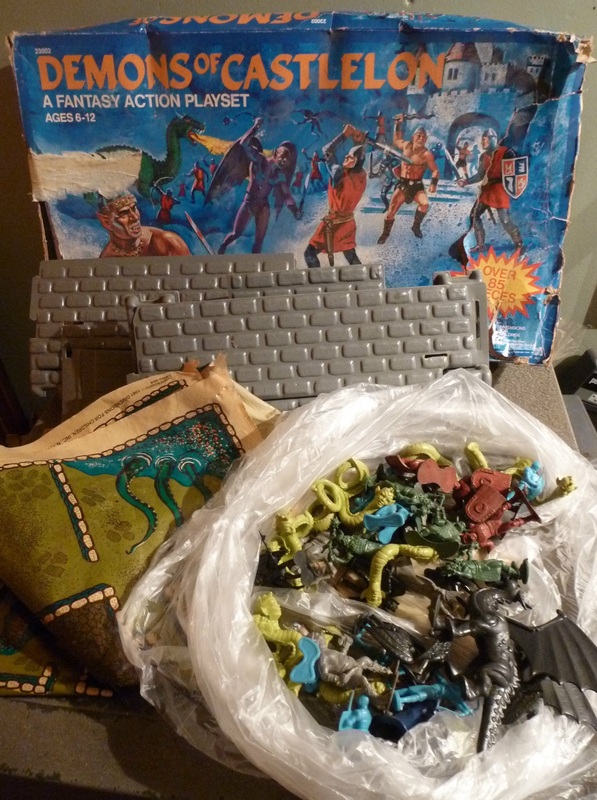 And there was some odd sets that included 2 different winged monsters not found elsewhere, IIRC, they were in window boxes and showed the action figures line on the back even though the contents were part of the “army men” series. Thanks for the comment. I have a couple of shots of the bagged guys, but not the winged monsters. Would love to see that. Purple winged cyclops monsters can be seen loose in this thread. The other monster was green, more dragon like, with a bit of pterodactyl style to the head. I have seen another DFC product called “Giant Castle”, a large cardboard wall and castle. I don’t remember if it came with any of the figures.